MALAYSIA Airports launched its annual month-long KULinarycampaign with KULinary Top Food Outlet Award 2018 – in recognition of its top 20 food outlets at KL International Airport (KLIA) and klia2. at the launch oftheKULinary campaign. For the third year running, Malaysia Airports collaborated with independent online food media company Fried Chillies for anonymous reviews of more than 100 food outlets, and evaluated them not only based on the dishes served but also the total dining experience, including ambience and restaurant service. With this campaign, KULinary aims to highlight many hidden “gems” in these airports for travellers and food lovers to enjoy. From the 20 winning restaurants of the KULinary Top Food Outlet Award, this year sees a new special category of “Judges Choice award”. “We want to change the current perception towards airports and promote them as not merely transportation hubs but also as destinations for everyone to enjoy. In terms of elevating the food and beverage (F&B) footprint at the airport, it is in line with a significant trend where eating is now the new shopping,” said Malaysia Airports commercial services senior general manager Nazli Aziz. “Apart from meeting the expectations of airport guests, our Commercial RESET Strategy also involves Business-to-Business (B2B) engagement, aimed at improving stakeholders’ performance. “To amplify exposure,we brought some of our past KULinary winners to the recent Malaysia International Gourmet Festival (MIGF) to enable them to showcase their dishes to international F&B players and prove that our airport cuisines are indeed at a world-class level,” he added. Malaysia Airports also announced its recent initiative to upgrade its food court with a new look and fresh concepts at KLIA and Langkawi International Airport, under its Commercial RESET Strategy. Raising the overall retail profile of international airports in Malaysia will take place in phases, with completion expected by end of 2021. Malaysia Airports KULinary campaign will run until Dec 8. Travellers and visitors are welcome to take part in the “Weekend Bites”, a food sampling session featuring award-winning dishes from the top 20 restaurants, every weekend from 10.30am to 6pm. Malaysia Airports will also organise a Facebook Contest for visitors to win up to RM200 cash prize each. Additionally, visitors can grab their Food Passport at the terminals to enjoy discounts and offers from these top 20 restaurants. 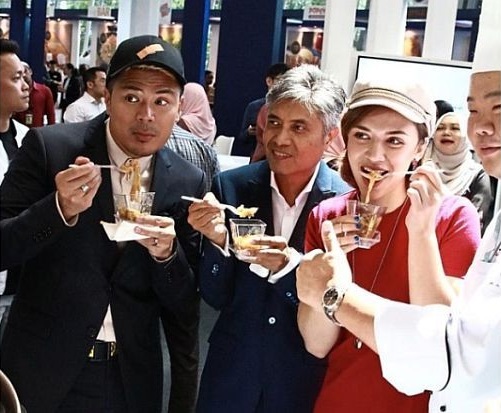 Fried Chillies chief executive officer and founder MohdAdly Rizal said, “Judging this year’s KULinary was both an exciting and challenging experience. “We needed to ensure the Top Outlets serve only the best for travellers and visitors at the airport and we are glad that we discovered several hidden gems along the way too. “Undoubtedly, KULinary has become a significant campaign for these food outlets in elevating their food and beverage game that helps KLIA and klia2 to create memorable experiences for everyone,” he added.